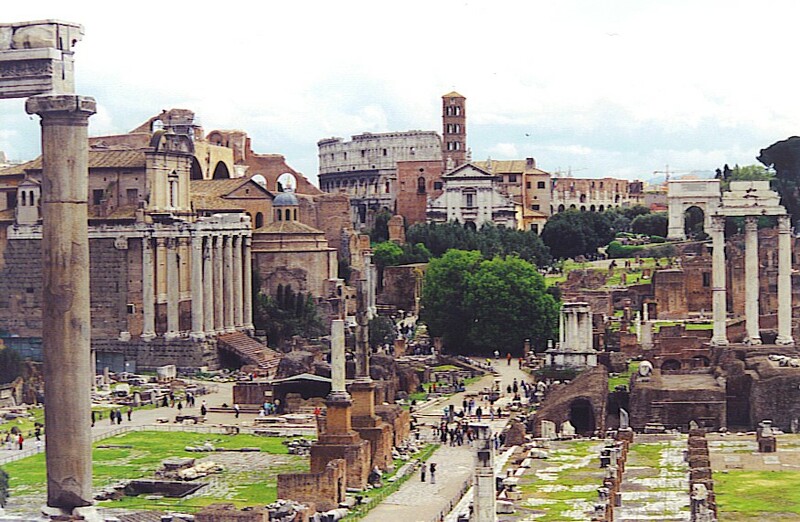 The Roman Forum: Devastated or Decimated? It was horrible, one TV commentator said, and another agreed that it was horrid. In the newspaper it was called horrendous, while someone else thought it was horrific. Yet another sage characterized it as horrifying. So I got my trusty dictionary off the shelf and looked them up. As happens with depressing frequency, I was proven wrong: They essentially all do mean the same thing. Technically, then, to decimate means to destroy a significant portion, but that portion is roughly a tenth. That figurative orchard of apple trees was devastated (“to lay waste, render desolate”), not decimated. Oh, and just to backtrack a moment… if you ever hear someone use the word horripilation, don’t assume it’s a synonym for horrendous and horrific and all those others. Horripilation means “goose bumps”. Which, come to think of it, could possibly be caused by something horrifying. This entry was posted in Language and Literature and tagged decimate, horrible, reticent. Bookmark the permalink. When you share the origin of “decimate” with the kids over dinner, I think one of them might be thrilled; the other not so much! Thanks for looking in, Bob. And thanks for tolerating my pedantry all those years in the writers’ room. I wish I knew just one-tenth of the stuff you know, Sir Thomas! Thanks, Reed, but you’re selling yourself short, and giving me too much credit. A lot of these facts aren’t stored in my head; I just spend an inordinate amount of time looking up stuff! Yes, I’ve seen comedians lose their grip and start flailing, too. It’s horrifying, all right. Or horrendous, or horrible — your choice.